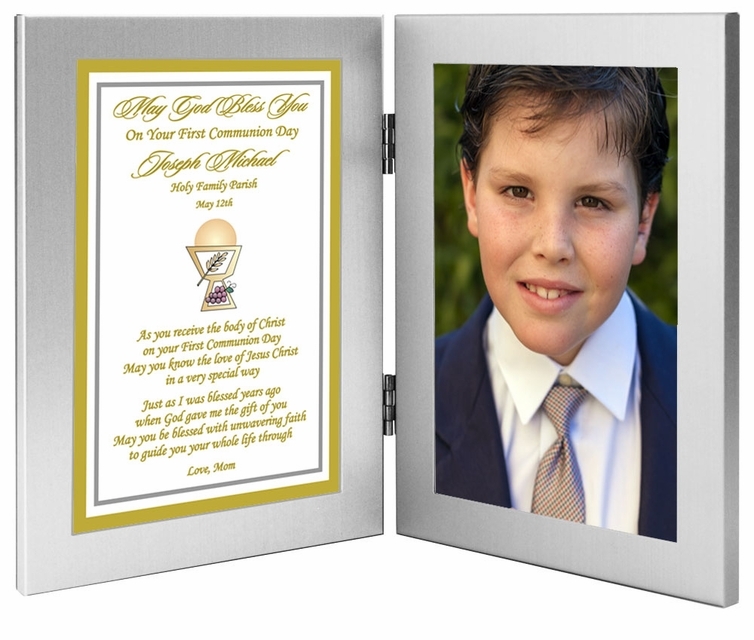 Capture this important day in the life of your son or daughter with this EXCLUSIVE 1st Communion gift. 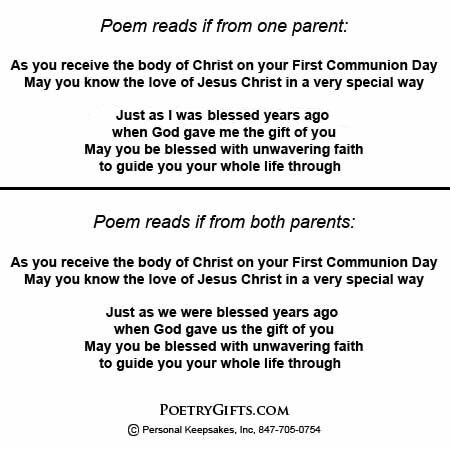 The touching poem can be personalized with your daughter or son’s name, the church name, Communion date, and a loving message from you. A 4x6 inch photo can be inserted after the frame is delivered. You bought her a beautiful Communion dress or bought him a new suit with all of the accessories for this all important day. 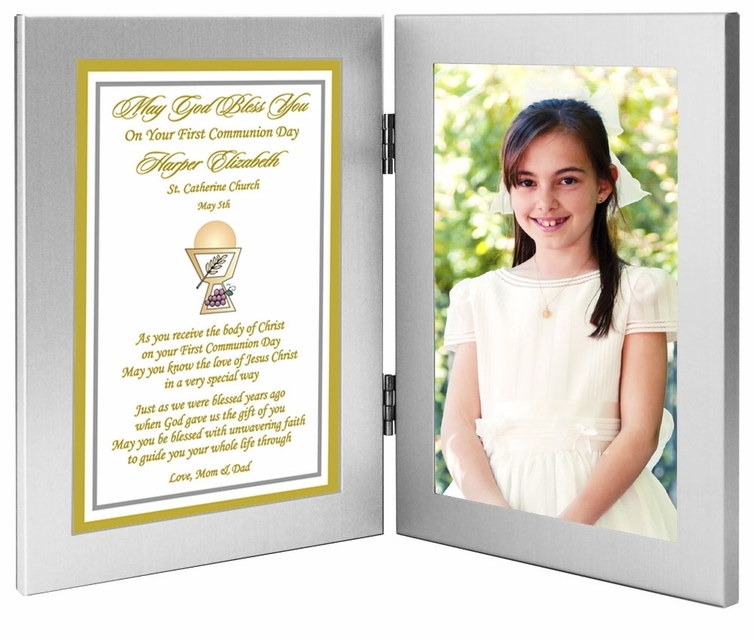 Now you can capture the spirit of the day with this personalized First Communion gift for your daughter or son.